A branded episode shot for and distributed on The Verge.com in partnership with Jaguar. We created this piece simultaneously with two other episodes over the course of 3 days, the per episode budget was $75,000. Adding the comfort and amenities of a fully client-attended commercial shoot would have added $25,000. A customer story shot for Cisco, this video marries a customer testimonial with a high level cinematic, luxury feel. The narrative focuses on a Cisco B2B Customer (Intercontinental Hotels) but the same results could be achieved with a video where we focus on a Land Rover customer. This video was made for $60,000. Adding the comfort and amenities of a fully client-attended commercial shoot would have added $20,000. 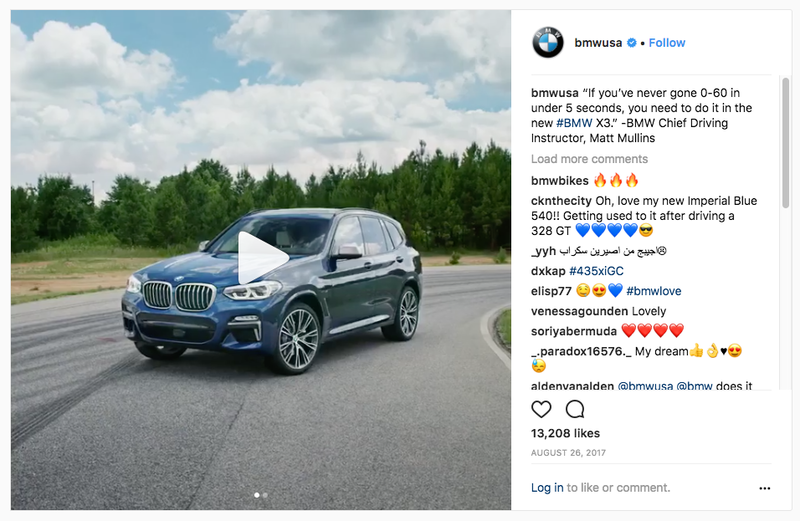 A social video made for BMW and ran on Instagram, shot by our proposed DP partner Alex Chinnici. This video was the lead element of a larger campaign, but approximate cost of the video alone was $250,000. It was shot with two camera teams, two hero cars, and a follow car all on location in South Carolina where the entire crew was flown in. This video was a fully client-attended commercial shoot. An episode of a series shot for Toyota 4 Runner. We created this as part of an overall media buy that was very lightly branded, with a single add bumper at the finish. Episode cost was $55,000, not inclusive of the ad content that follows. Adding the comfort and amenities of a fully client-attended commercial shoot would have added $25,000. This is the reel of our proposed Director of Photography partner, specifically geared towards car-related work. There is a wide range of budgets on the associated projects. The LEROI team worked with Alex to shoot roughly half of the associated work. An episode of a unique series made for OnStar where we interviewed actors, artists, musicians, and writers while taking them anywhere they wanted to go in a Lincoln Navigator. A good example of what can be accomplished shooting inside a car, but also with some nice exterior shots done on a low budget while being executed to look more high level. Budget for a single episode was roughly $45,000, not inclusive of talent costs which ranged widely. Adding the comfort and amenities of a fully client-attended commercial shoot would have added $30,000. The opening titles for season two of Origins, an SB Nation show sponsored by Dodge. This is a difficult one to parse out budget on as the production was rolled into the overall episode shoot, but this opening sequence cost roughly $15,000 to make. Adding the comfort and amenities of a fully client-attended commercial shoot would have added $15,000.